IRON MOUNTAIN — Elaine C. Yuhasey, 91, of Iron Mountain, passed away on Tuesday, Sept. 11, 2018, at Dickinson County Memorial Hospital. Elaine was born on Jan. 8, 1927, in Iron Mountain, daughter of the late Frederick and Claire (Cameron) Carlson. She was a resident of this area her entire life and was a 1945 graduate of Iron Mountain High School. After high school she and five friends moved to the city and worked for a company rolling rocket powder during the war effort. Shortly after that, WWII ended and she returned home. Elaine had several jobs in the area, including working at the Braumart Theatre. It was there she met and eventually, on Nov. 4, 1950, married her husband, Donald Yuhasey. 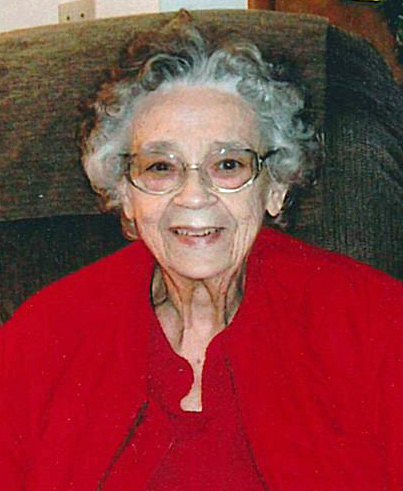 Elaine was a member of Trinity United Methodist Church in Iron Mountain. Over the years, she has been very active in the church, including as a member of United Methodist Women and several church circles, as well as being a Sunday school teacher and church treasurer. She was also co-leader in campfire girls for several years. Elaine was a wonderful cook and was known for her potato salad. She also enjoyed sewing. In addition to her parents, Elaine was preceded in death by her husband, Donald on Aug. 21, 2018; brothers, Fritz and Douglas Carlson; and sister, Shirley Hayes. Visitation will be 10 a.m. to noon on Friday, Sept. 14 at Trinity United Methodist Church in Iron Mountain. Memorial services will follow at noon at the church. Rev. Geri Hamlen will officiate. A memorial will be established in her memory at Trinity United Methodist Church. Condolences to the family of Elaine Yuhasey may be expressed online at www.ernashfuneralhomes.com.